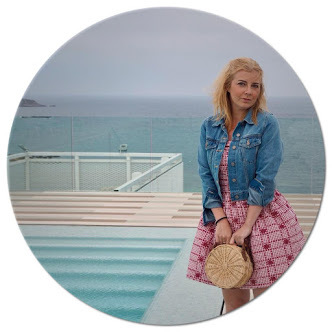 I’m having one of those days where I could just burst into song today – okay that could just be the weekend spirit talking, but over the past few weeks I have felt a particular ‘spring’ in my step and it might not just be the weather that has given me a boost. You may have noticed by now, I try to keep things healthy around here (try being the most important word here) and I love concocting new recipes or mixing my old favourites up a little bit to keep them interesting. Last year I got hooked on Matcha, the little green superhero you tend to find hidden away on the shelves of the local health food store and not next to the newest fad in the supermarket. 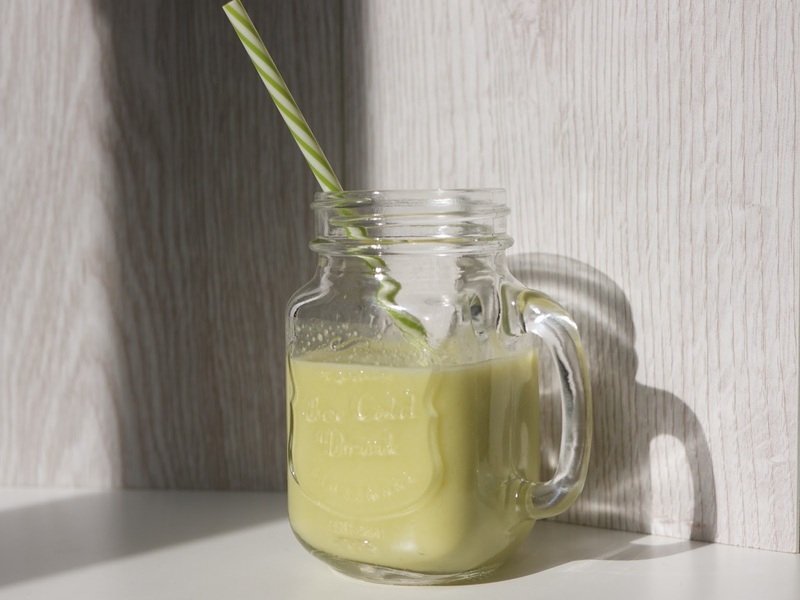 Matcha has been around for centuries (that’s even longer than me, oh yes I went there) and it is packed with all the loveliness and goodness your body craves (especially after Fish, Chips and one too many Pina Coladas). 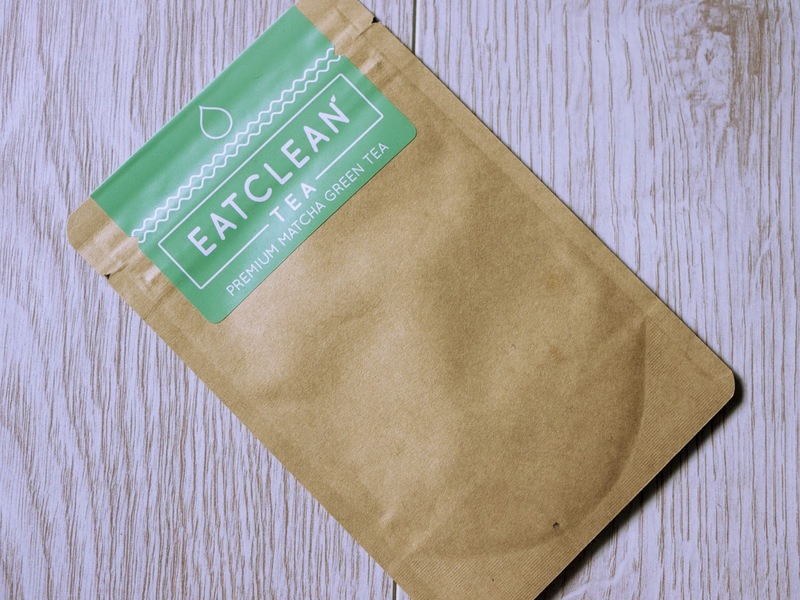 Eat Clean Tea isn’t a member of the get skinny quick brigade, oh no, in fact there isn’t actually many companies out there like them. 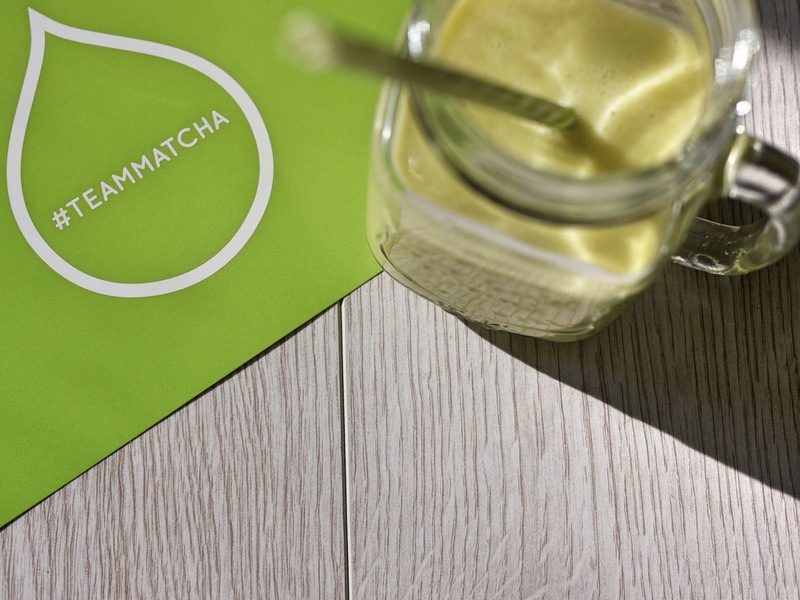 You see Matcha is essentially raw, unprocessed and super-strength Green Tea (it’s kinda like the Hulk, big, green & bursting at the seams) and all that the bods at Eat Clean Tea do is occasionally mix it with something a little more palatable to make it more appealing. Although I love Green Tea, I know a lot of people that don’t and they will love this! 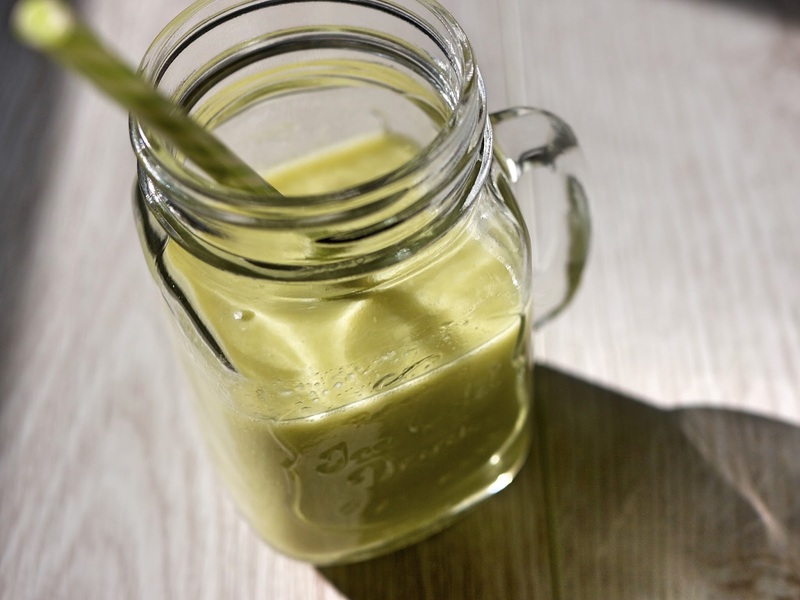 Simple place all of the ingredients in your favourite smoothie maker and whizz up (the technical term I believe) until blended and serve up in your favourite jar. Decorate with whatever cocktail paraphernalia you have lying around and voila, you could be lying on Venice Beach! 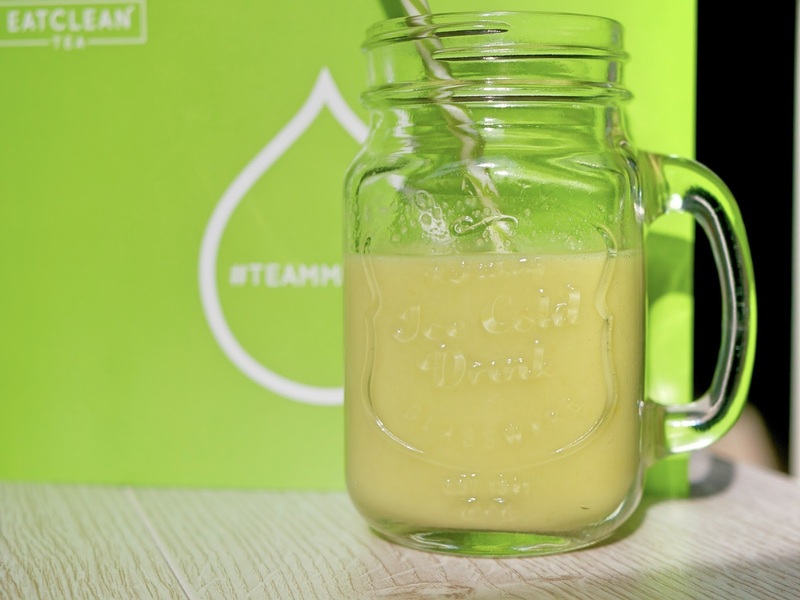 It’s sweet, refreshing and good for you, what more could you ask for?